Cendrillon (Cinderella) is a familiar figure from fairy tales, but Massenet’s heroine is a little different from her storybook counterpart. She’s a passionate, determined girl, who would rather die than live without the man she loves. Listen to the transformation that Cendrillon’s music undergoes when she meets the Prince. Simple harmonies become rich and complex – a girl suddenly growing into an emotionally mature and complex woman. We know almost as little about the Prince at the end of Cendrillon as we do at the beginning. He is less of a character and more an idea, a fantasy of a man, rather than a man himself. What we do learn through the course of the opera is that the Prince is independent and idealistic. Faced with pressure from his father and the entire court, he still refuses to marry without love; faced with the disappearance of Cendrillon he scours the entire kingdom until he finds her, rather than just forgetting her and moving on. Sung by a female mezzo-soprano, the Prince has a softness, a femininity to his music that makes for a very innocent romantic hero. He sings music that, while passionate and romantic, still has a sweetness to it – a child’s vision of a hero, perhaps? Cendrillon’s fairy godmother La Fée is magic personified. From the very first bars this soprano sings it is clear that she inhabits a completely different world to all around her. 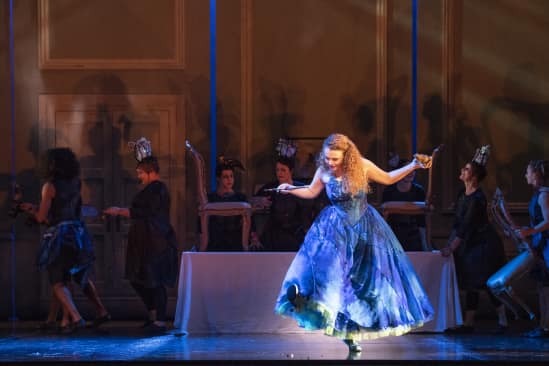 While Cendrillon’s soprano is warmer, lower and more human, La Fée’s very high-lying music is all enchantment, illusion and moonlight – silvery-pure, glinting and glittering. Musically, she is an opposite and rival to villain Madame de la Haltière’s low, almost masculine contralto. Like the Prince, we learn almost nothing about La Fée herself through the opera – she’s simply an agent of goodness, magic and change. Sisters Noémie and Dorothée come as a pair. 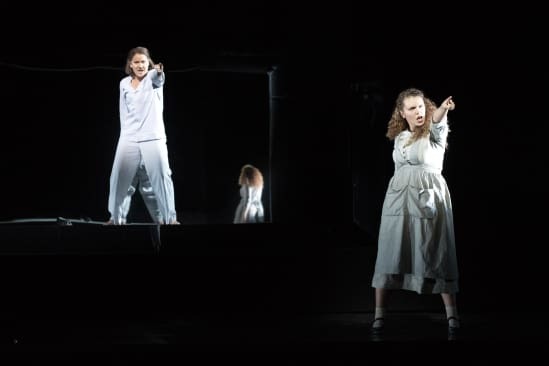 Their relentless, insistent, chattering music presents the two girls as all but interchangeable – two silly young women equally incapable of thinking of anything deeper than dresses or love affairs. Under their mother’s guidance they behave cruelly to Cendrillon, bullying and teasing her. 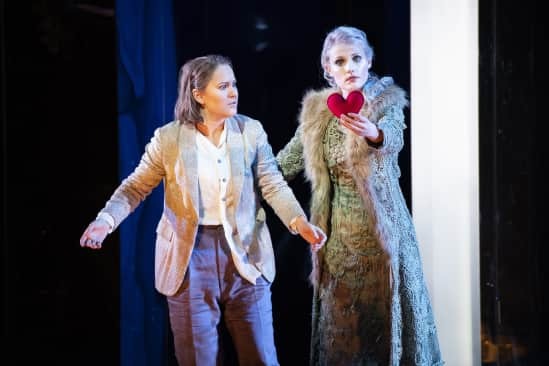 The harmonic simplicity of Noémie and Dorothée’s music sets them apart from greater chromatic depth and complexity of their sister Cendrillon. Cendrillon’s father Pandolfe regrets his second marriage to Madame de la Haltière, whose bullying ways and silly daughters he dislikes. He even suggests to Cendrillon that they leave together and return to a simpler life in the countryside. But, like everything with this rather passive, ineffectual character, plans never quite turn into actions. It is Pandolfe’s failure to stand up for his daughter and protect her that leaves her at the mercy of her wicked stepmother. Pandolfe’s music, with its echoes of folksong, presents a vivid picture of a warm-hearted but ultimately feckless man, whose good instincts are easily dominated and distorted by others. Madame de la Haltière is a woman in complete control. Having married widower Pandolfe, she quickly sets about reshaping his life to suit herself and her two daughters Noémie and Dorothée. Madame de la Haltière’s music paints a picture of a woman who undertakes her chief role in life – marrying off her daughters – as seriously as any general takes a battle. There’s often a hint of martial spirit in her music, and her contralto voice also gives her a certain masculinity. Faced with an ill-natured wife, demanding step-daughters and unhappy servants, Pandolfe recalls the simplicity of his former days living alone with his daughter Cendrillon. He resolves to assert his authority and spare Cendrillon from the bullying of her new relations. Meanwhile, Cendrillon’s stepmother and sisters prepare to go to a ball, where they hope to attract the Prince. Cendrillon herself is to be left at home. 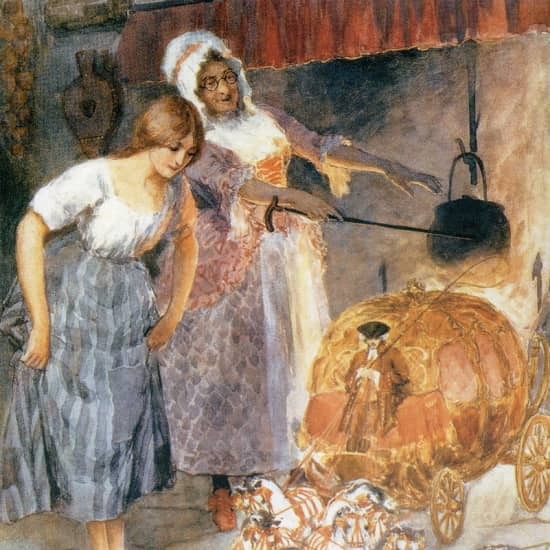 As Cendrillon sleeps by the fire her Fairy Godmother appears, conjuring a magical gown from starlight and moonbeams as well as glass slippers which will disguise Cendrillon from her relatives. But the enchantment will break at midnight, so Cendrillon must make sure to return home before then. The Prince is melancholy. His father the King reminds him that he must choose a wife. Eligible princesses present themselves to him, but none of them catches his eye. A beautiful stranger – Cendrillon in disguise – arrives, and she and the Prince fall instantly in love. The clock begins to strike midnight and Cendrillon flees, losing a glass slipper as she goes. The family returns from the ball, angrily discussing the beautiful stranger. Ultimately they dismiss her as a passing fancy; the Prince couldn’t possibly love such a woman. Cendrillon nearly faints with horror. Comforting the weeping Cendrillon, Pandolfe promises to take her away with him to live in his country home. 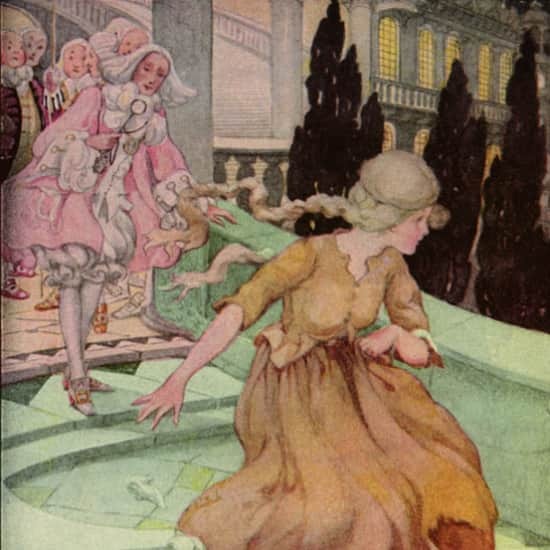 But Cendrillon cannot be comforted, and runs out into the cold night, refusing to be a burden to her father. The Fairy Godmother conjures spirits and a magical bower, bringing Cendrillon and the Prince together at a magic oak tree for a mystical ceremony of love. They exchange their vows, embrace, then fall asleep by a stream. Months have passed since Pandolfe found his daughter by the stream and took her home. Delirious, she half wakes, telling her father all that has passed. But he tells her it was only a dream. It is now spring, and the Prince summons all the women of the kingdom to try on the glass slipper, in hopes of finding his beloved. Convinced that one of her daughters must be the Prince’s true love, Madame de la Haltière hurries them off to the palace. Now recovered, Cendrillon goes with them. Cendrillon tries on the slipper and the Prince recognises his mysterious beauty from the ball. The two lovers are reunited, and the whole court rejoices. 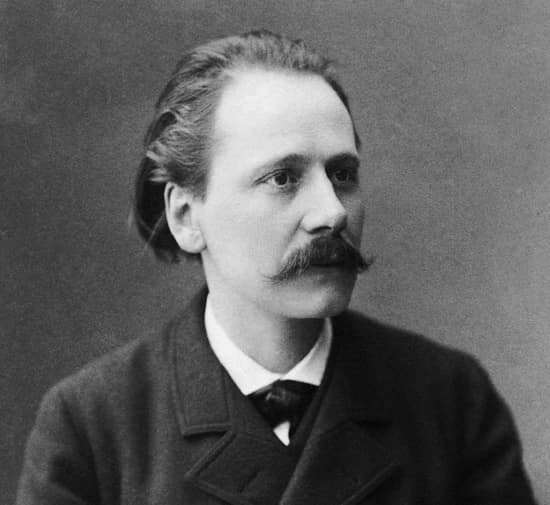 Jules Massenet (1842-1912) was the most popular French composer of the late 19th century. A real crowd-pleaser, he liked to give his audience what they wanted, and experimented with many different musical styles. 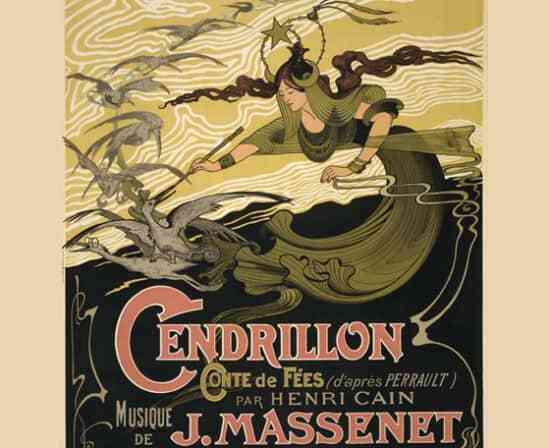 What Paris’s audiences wanted in 1899, as they stood on the brink of the developments and discoveries of a new century, was something familiar and reassuring, and that’s exactly what he gave them in the charming musical entertainment of Cendrillon. 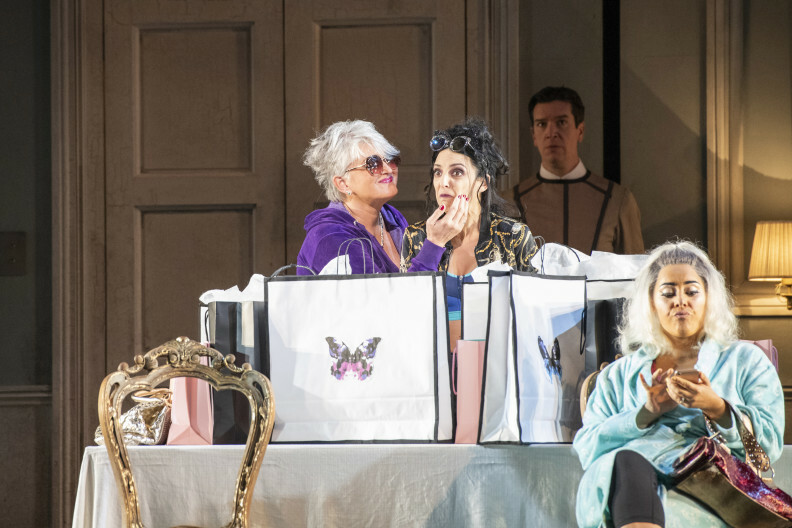 Cendrillon isn’t a conventional opera, where all emphasis is on the music. It’s an “Opéra féerie” – a musical fairy tale fusing song, dance and spectacle together into a fantastical, visually striking whole. The music itself plays a crucial part in establishing a magical atmosphere. Massenet uses a lot of high woodwind, strings and harp to create a sonic shimmer that transforms the everyday world into something gilded and glowing. 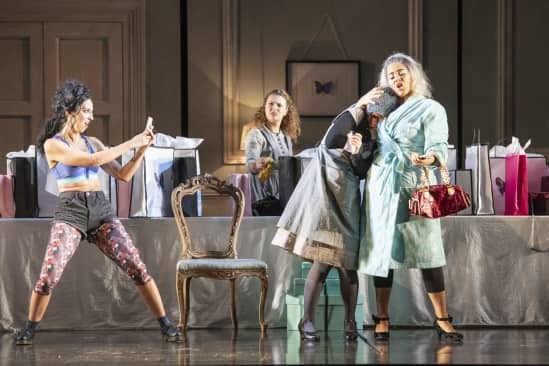 Cendrillon is both a tender love story and a comedy, and Massenet’s score weaves these two different moods skilfully together. 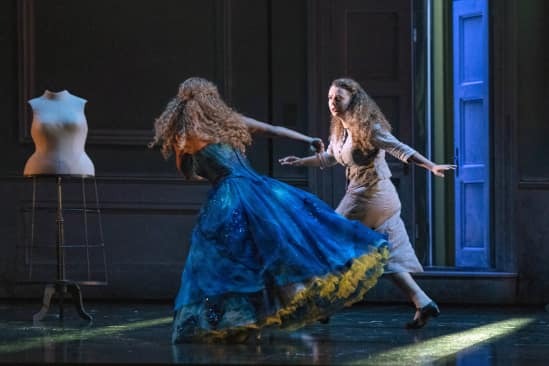 The music for Cinderella’s stepmother and her stepsisters Noémie and Dorothée is wonderfully exaggerated and cartoonish. 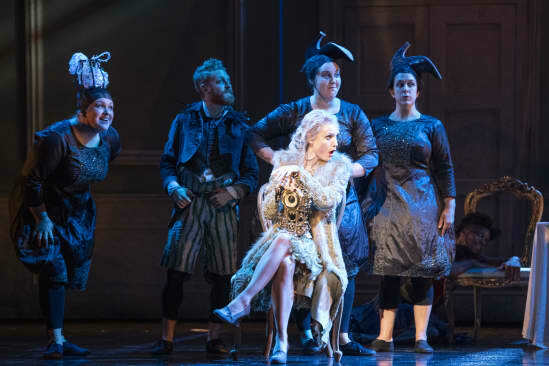 Simple harmonies and highly characterised melodies – chattering and smug for the girls, haughty and bold for their mother – help draw the comic characters in broad musical brushstrokes, while Cendrillon and the Prince are much subtler and more complex characters, whose music is more sophisticated. Just as fairy tales are set in a distant “Once upon a time…” past, Massenet brings a nostalgic, historical element into his score. The world of the Prince’s court is set to music that seems to belong to the 18th rather than the 19th century. A sequence of deliberately old-fashioned courtly dances open the ball, taking us back in time to a world of powdered wigs and pomp. 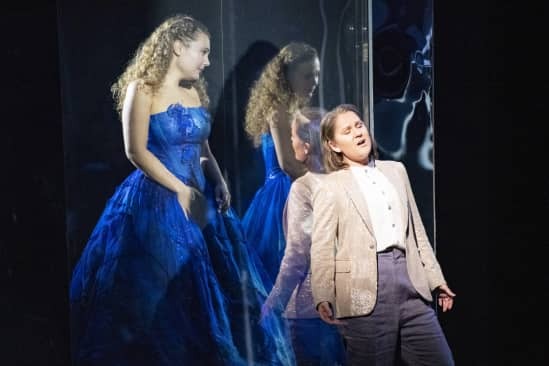 The rapturous duet Cendrillon and the Prince sing at first meeting surges with newly unstable, expressive chromatic harmonies, as if the force of their love is so great that is has upset the opera’s elegant mock-18th-century kingdom. Listen to how the two lovers - still strangers to one another - don’t actually sing together until the very end of the duet. The exquisite fairy-music which sets the scene for the magic forest casts its own musical spell. Radiant chorus writing and glinting tuned percussion sprinkle fairy-dust on the Fée’s own lovely melody, which sits right at the top of the soprano range - imitating the sound of magical bells or chimes.